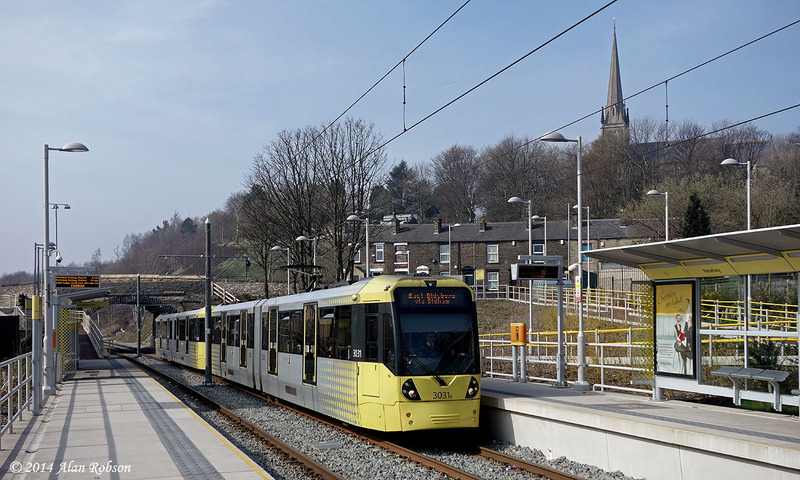 Ahead of the Monday 31st March public opening of the new Metrolink line to Rochdale centre, there were four days of shadow running over the town centre tracks from Thursday 27th to Sunday 30th March. 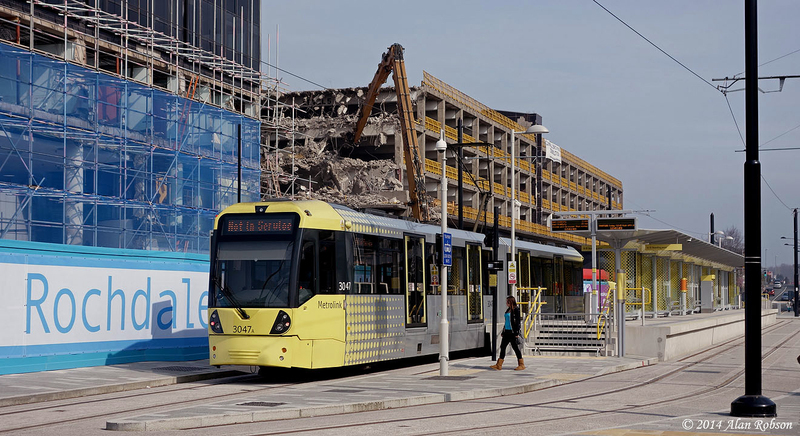 The current journey time to the temporary terminus of Rochdale Railway Station from Shudehill (the Victoria Station stop is currently closed for renovation) in Manchester is around 50 minutes, the journey to Rochdale being via Oldham and Milnrow. 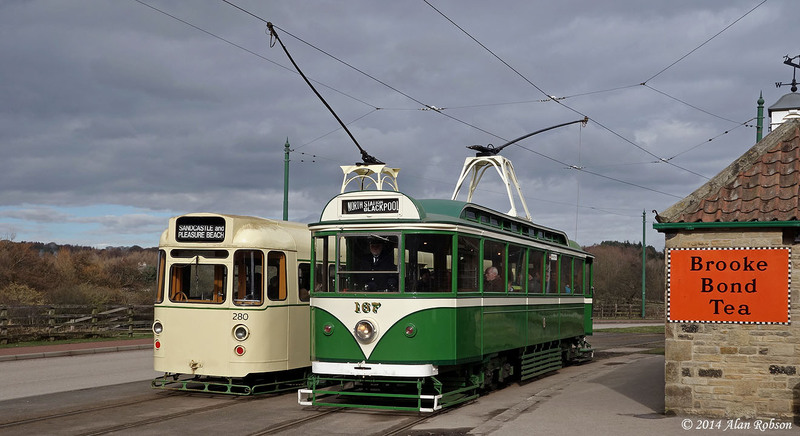 See Blackpool Trams on Flickr for more photos taken on the Rochdale line on 29th March. 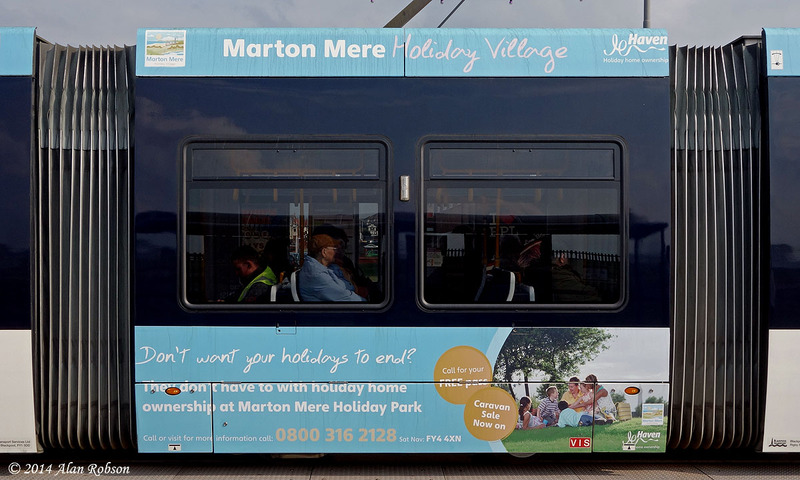 Flexity 003 has appeared with a new advert for Marton Mere Holiday Village applied to one side of the tram. 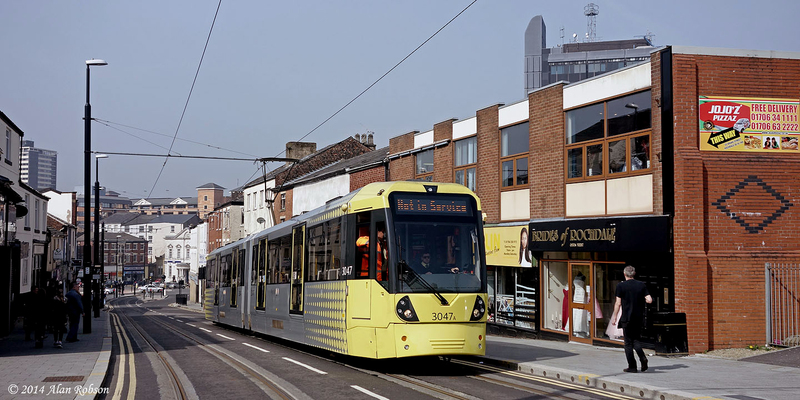 This is the first new advert for a Flexity since June 2013, and the first time that 003 has carried any advertising. 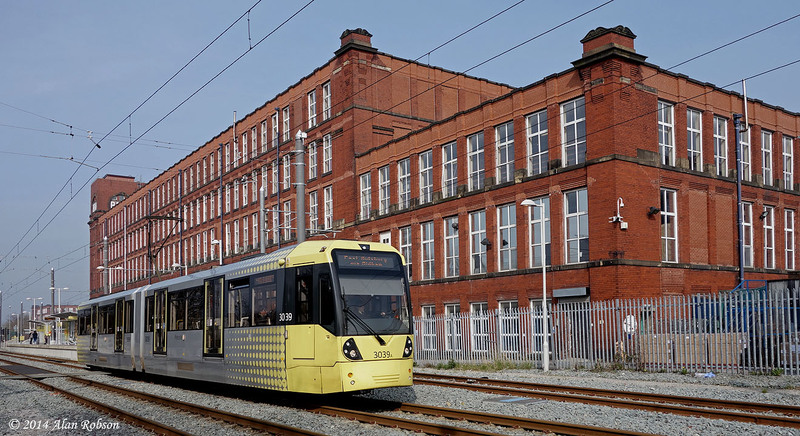 The advert is on a pale blue background along the full length of the tram above the windows, and below the windows on the centre section. 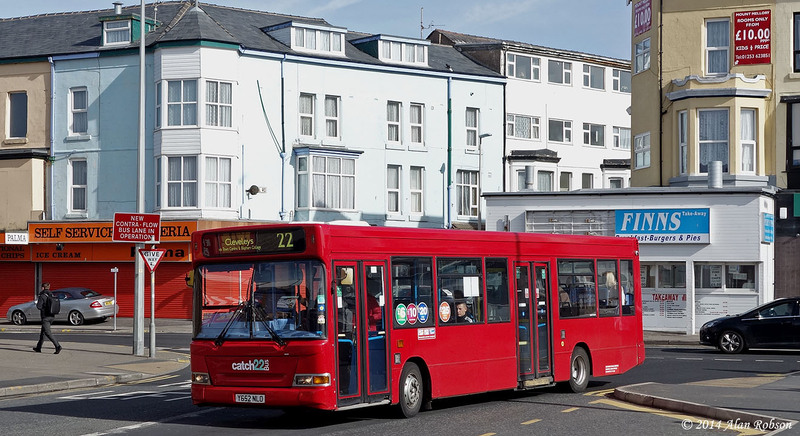 As part of Oakwood Travel's transition from the Classic Bus North West era, several vehicles are to be repainted into a new turquoise and orange livery complete with a new "catch22Bus" logo. 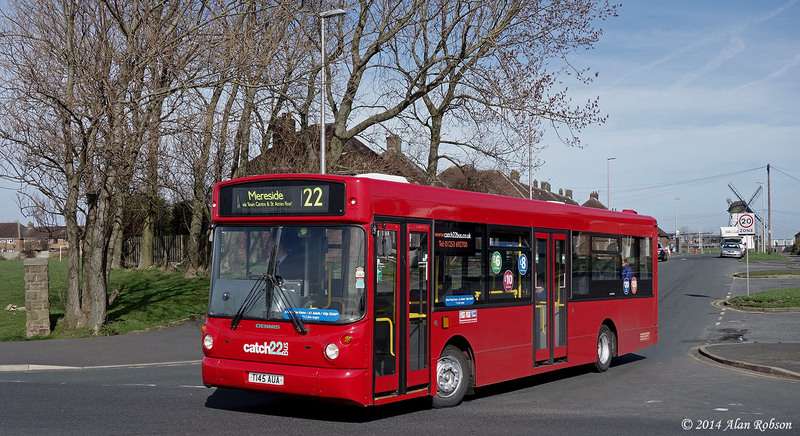 Two of their Dennis Darts (T145AUA and Y652NLO) were repainted last year in the all-over red livery, these two buses will retain their red livery for the time being, but have had the new "catch22Bus" route logo applied to the front of the bus beneath the windscreen. 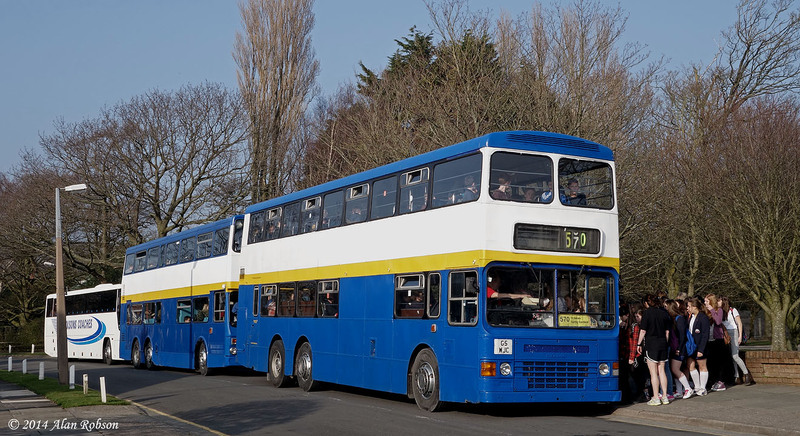 Many of the Oakwood Travel fleet have now had their Classic Bus North West logos removed in preparation for rebranding. 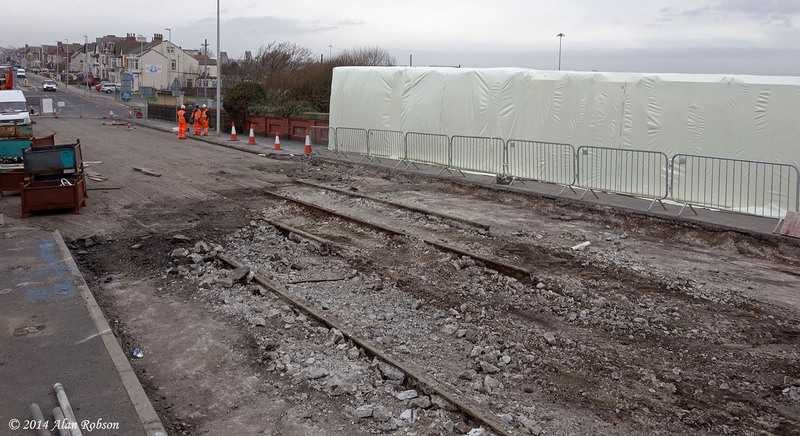 Network Rail, along with Blackpool Council, are carrying out strengthening and resurfacing work on Lytham Road bridge in Blackpool from Monday 3rd March to Friday 4th July, and during the process of removing the road surface the tracks of the former Lytham Road tram route have became visible. 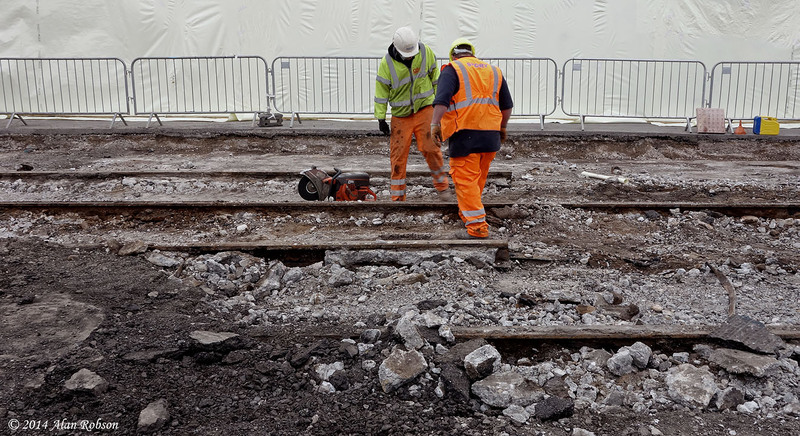 Tram services last ran along this track 53 years ago in 1961 when the route closed, the old rails are being dug up and removed as part of the bridge refurbishment work. 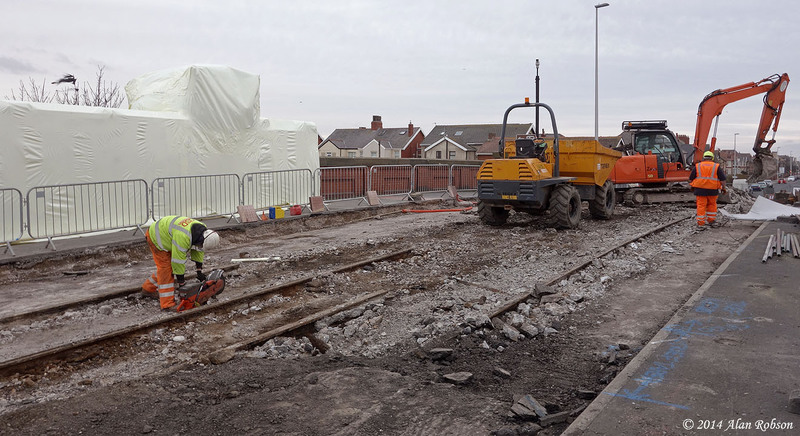 The work necessitates closing the bridge to all road traffic between the 10th March and the 11th April, which is causing several bus route diversions. 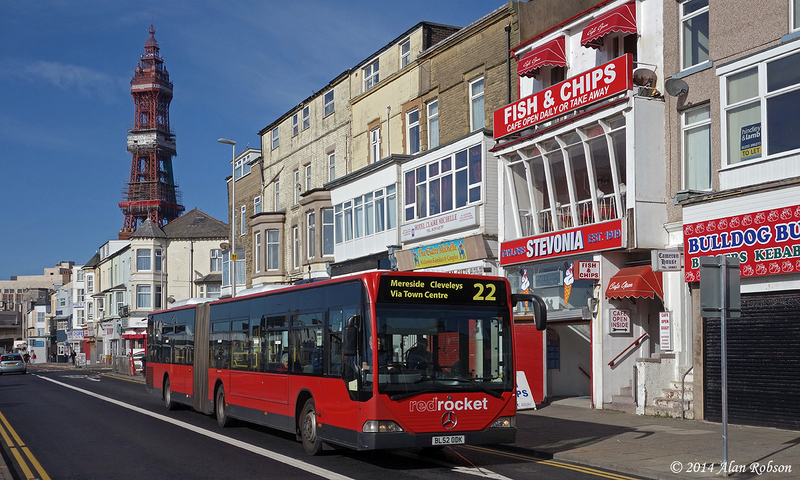 A rather interesting bus has turned up on the Fylde Coast, some 12 years after having previously operated in the area. 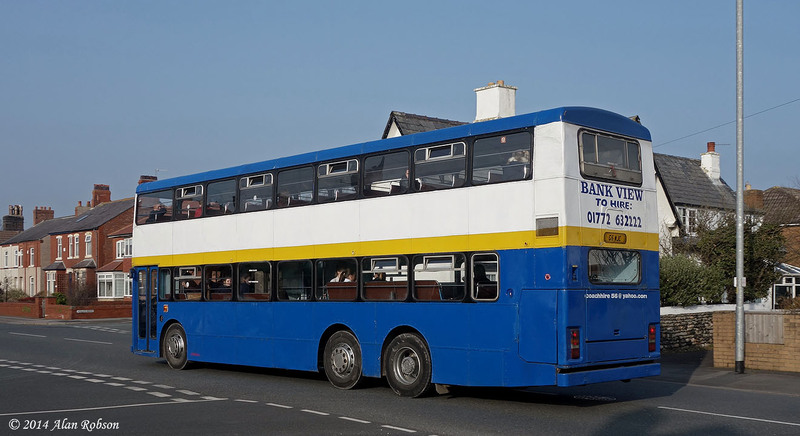 Bank View Travel is a small company based in Freckleton near Preston, among their collection of vehicles is a monster 12 metre tri-axle Dennis Condor with Duple Metsec bodywork. 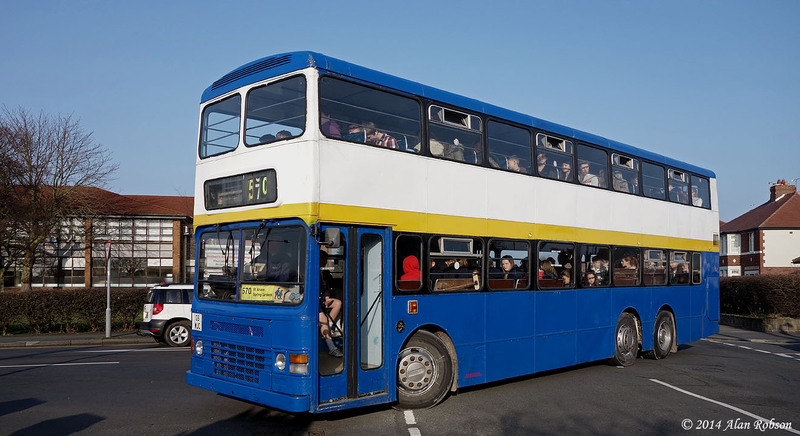 This bus has had rather a long career, new in 1989 to China Motor Bus of Hong Kong as number DL43 in their fleet, it passed to New World First Bus in 1998 after China Motor Bus lost the franchise for all their routes. 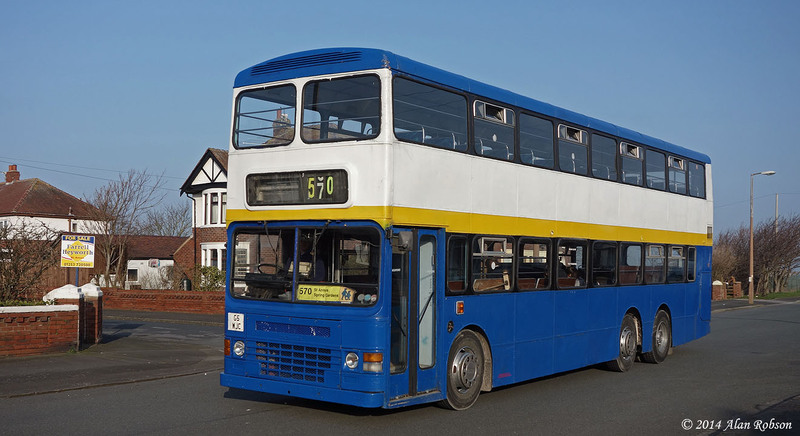 NWFB sold the bus, along with many more Condors, for export to the UK in 2001, the vehicle receiving the registration G452FVX for use in this country. 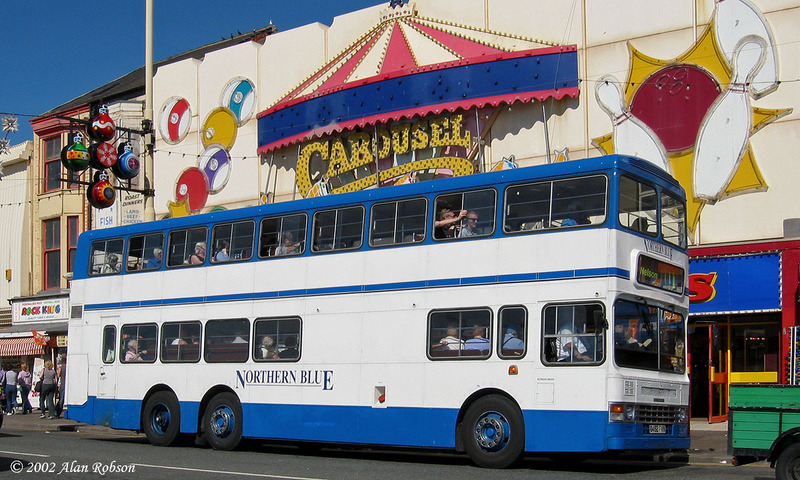 The Condor was purchased by Northern Blue of Oswaldtwistle and mainly used on school contracts, although also seeing occasional use on stage carriage routes at weekends when not required for school work. 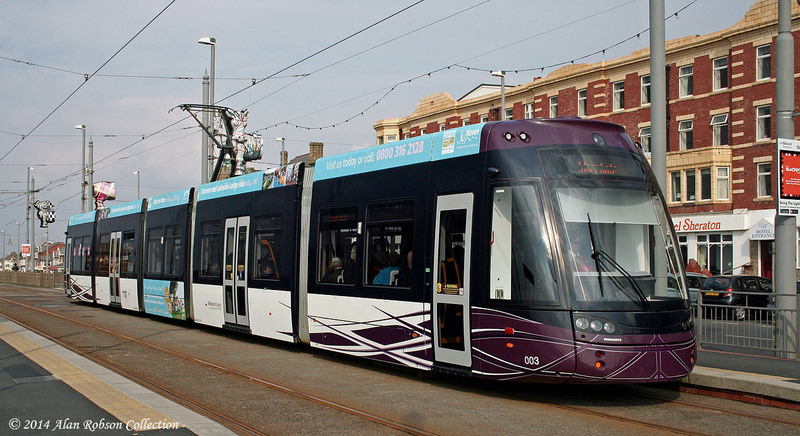 The stage carriage use while with Northern Blue saw the vehicle venturing as far as the Fylde Coast occasionally on the X4 Colne, Nelson & Burnley to Blackpool & Fleetwood route. 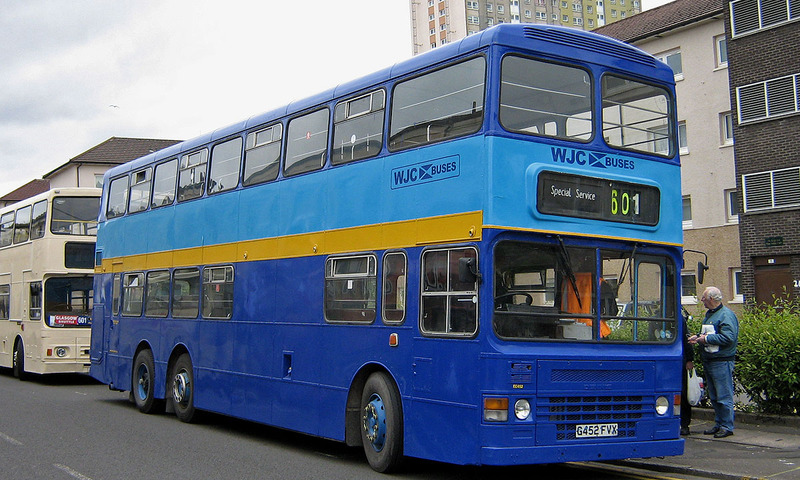 A few years later the Condor passed to WJC Buses of Airdrie near Glasgow, again mainly for school contract work, and sometime after it was purchased it was given the personalised registration G5WJC, which it still carries. 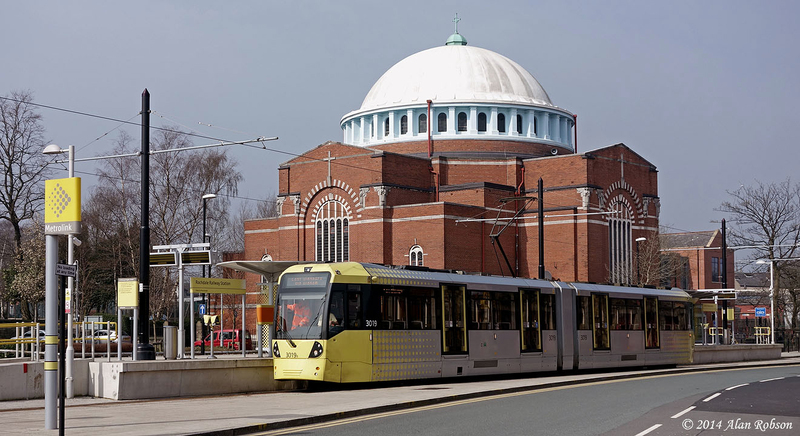 Within the last few months the Condor was purchased from WJC Buses by Bank View Travel of Freckleton for use on local school contracts. 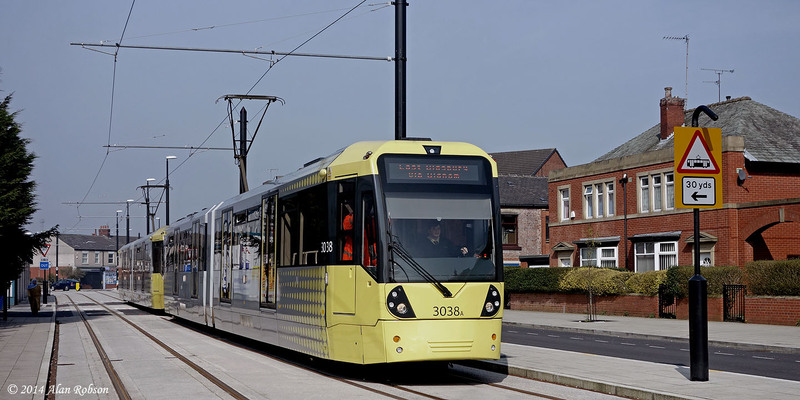 The livery of G5WJC is blue, white and yellow, very reminiscent of the former Fylde Borough Transport colour scheme. 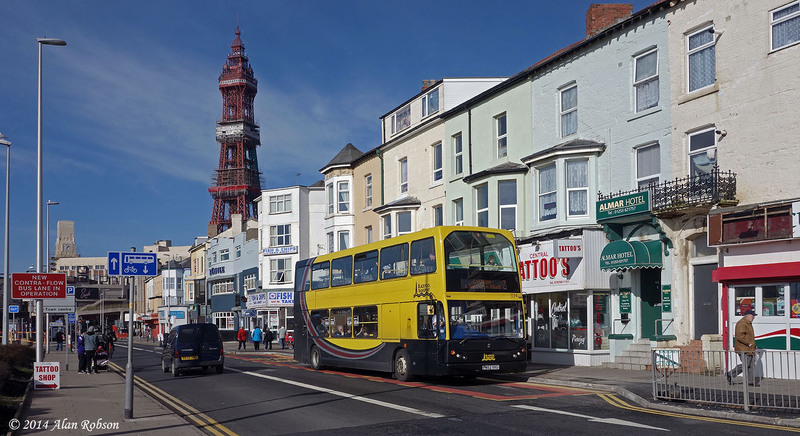 So now 12 years after this well travelled Dennis Condor first visited Blackpool and Fleetwood on the X4 with Northern Blue, it can be seen in St Annes and Lytham ferrying children around on the 570 school service. 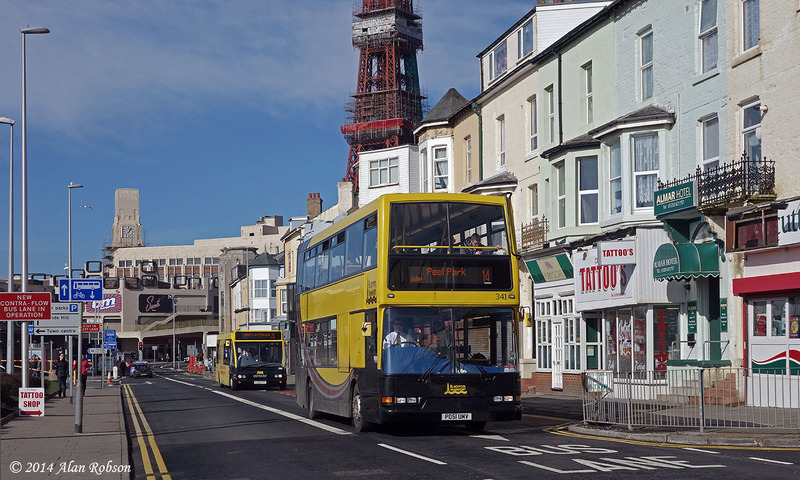 For more photos of the Dennis Condor on the 570 school service see Blackpool Trams on Flickr. 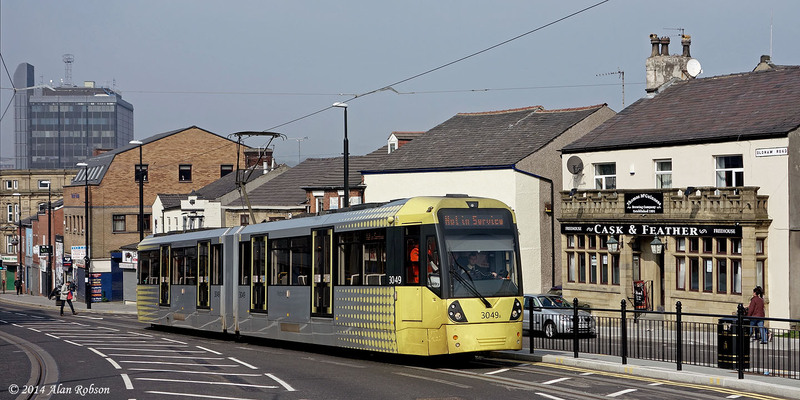 The new contraflow bus lane on Central Drive suffered its first road traffic accident on Monday 3rd March, a careless car driver drove out of one of the side roads on the new contraflow section without looking, straight into the path of an oncoming Blackpool Transport Optare Excel colliding with it. 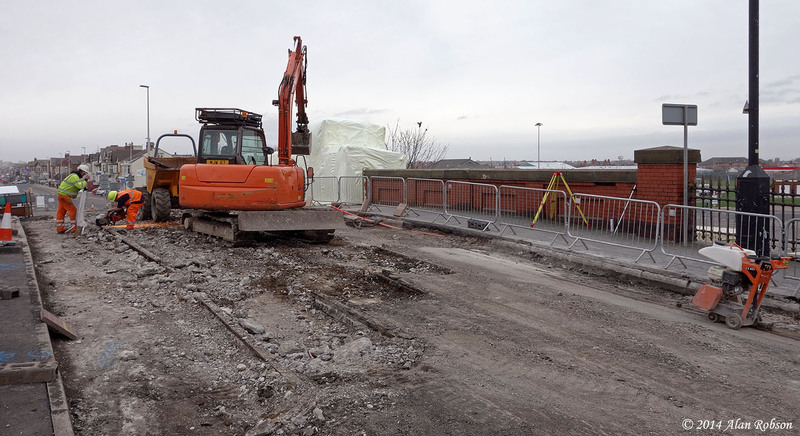 This part of Central Drive has been one way for decades, and it will obviously take some time before local motorists get used to it being two way again, especially as for some drivers the road will have been one way all their lifetime! 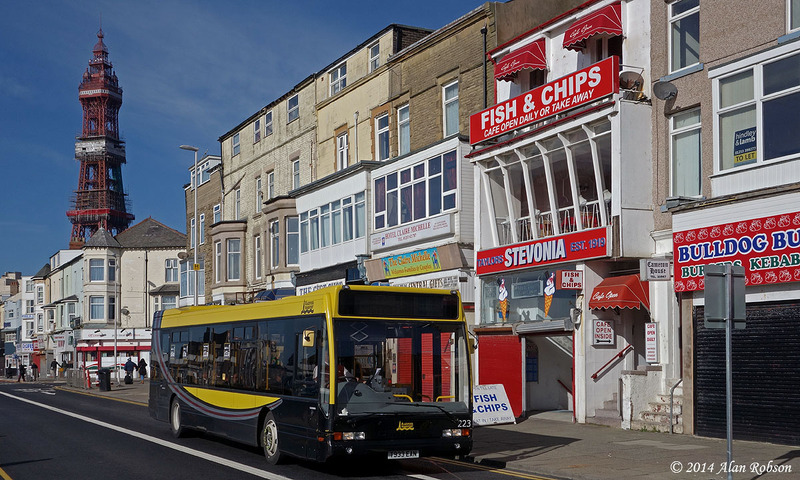 Excel 223 is seen passing the Stevonia Cafe, which became famous in 1961 when murderer James Hanratty was arrested there in the October of that year. Hanratty was one of the last murderers to be sentenced to capital punishment in Great Britain, being hung at Bedford Prison in April 1962. 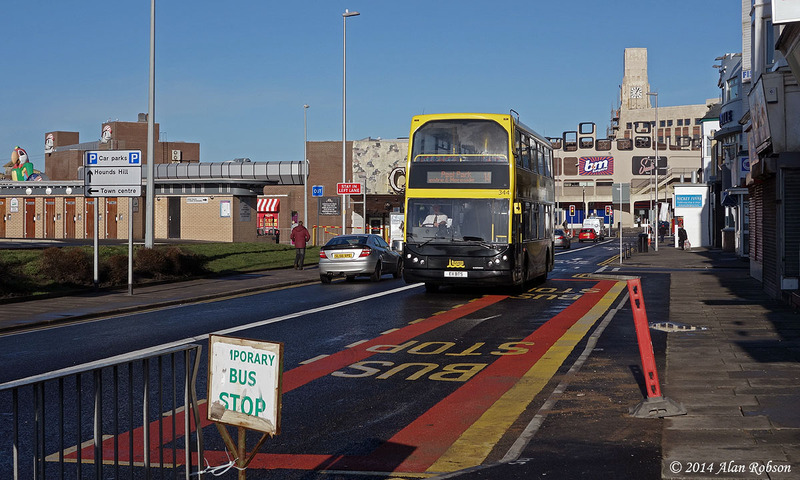 A new contraflow bus lane opened on Central Drive in Blackpool on Sunday 2nd March. 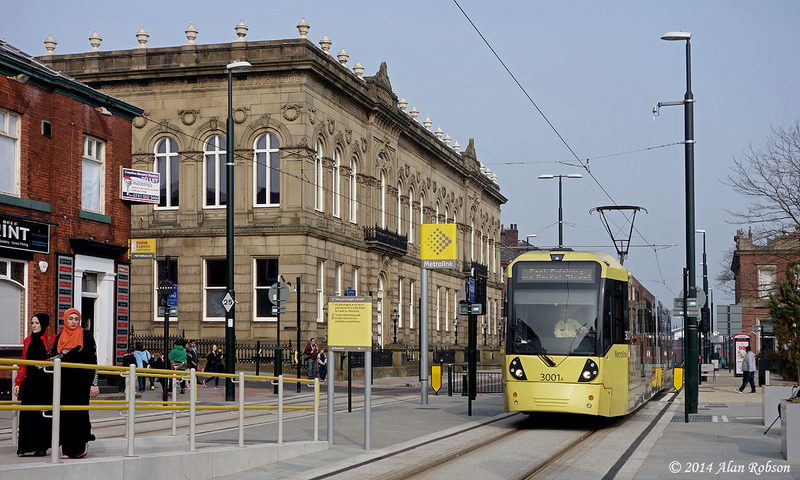 The bus lane replaces the congested diversionary route via Albert Road, Coronation Street and Reads Ave, which has been in use for years in order to regain access to Central Drive southbound again, and reinstates two way bus operation on this section of Central Drive for the first time in many years. 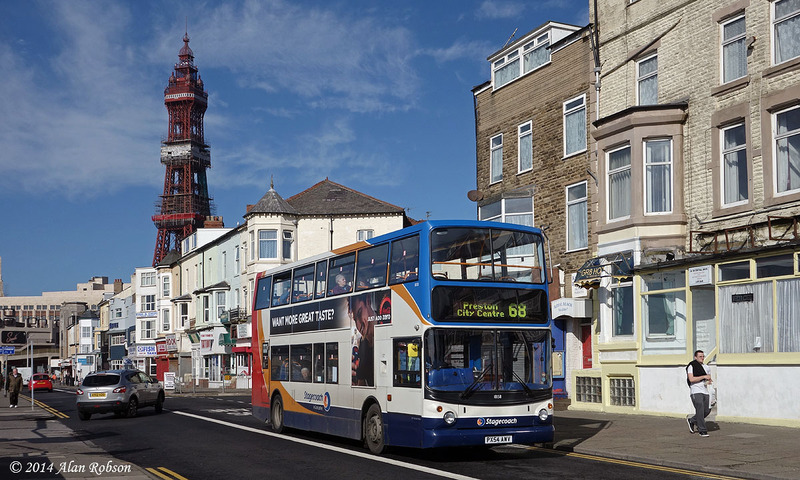 Bus routes which now use this new direct route along Central Drive are Blackpool Transport 5, 7, 14 & 17, Stagecoach 68 and Oakwood Travel 22, knocking about 3 minutes off their southbound journey times. 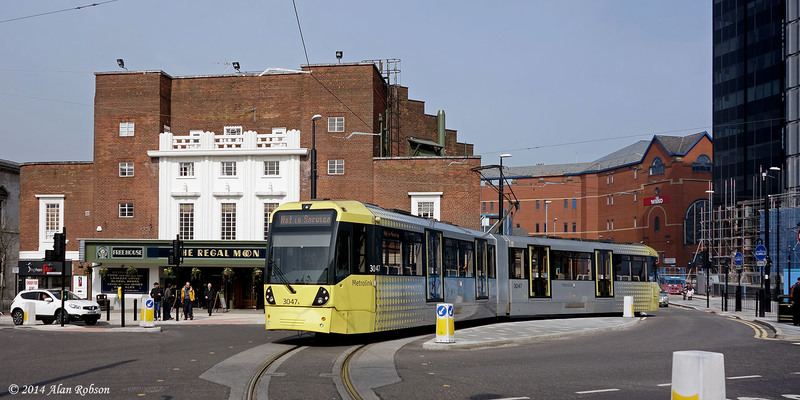 There is one new bus stop lay-by situated on the new contraflow section, opposite the Central Coach Station. 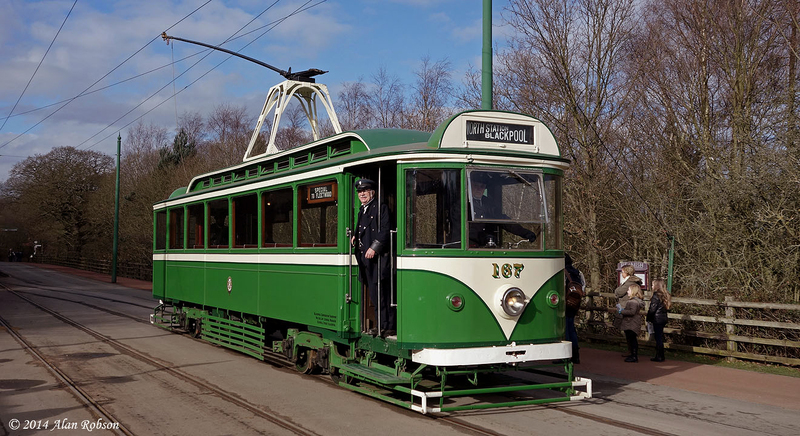 On 1st & 2nd March Beamish museum put on a special weekend entitled "Blackpool at Beamish", where the whole weekend's service would be operated by former Blackpool trams. 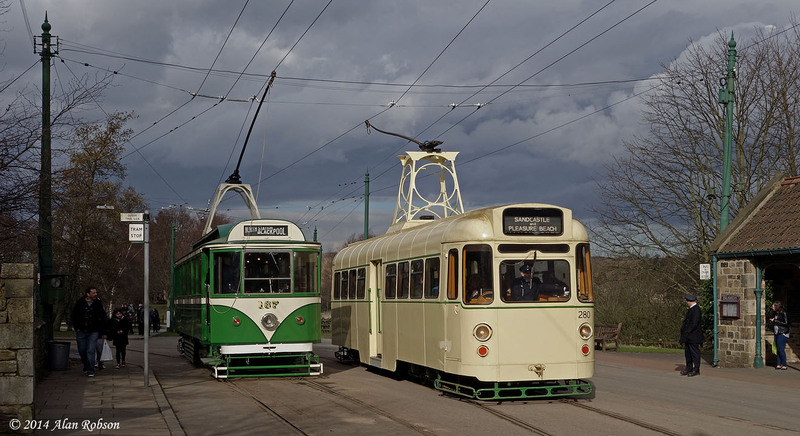 The undoubted highlight of the weekend would be the two trams on loan from other organisations, Pantograph 167 on loan from Crich, and Railcoach 280 (680) on loan from the Heaton Park Tramway. 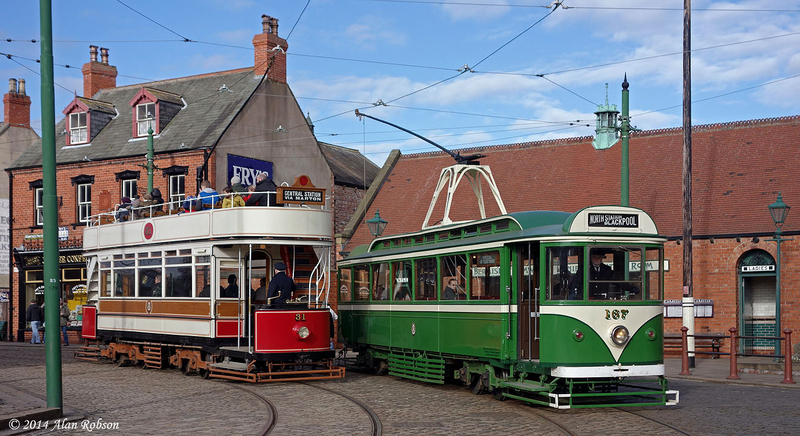 The other trams in operation throughout the day were Beamish stalwarts Marton Box 31 and Balloon 703 (aka Sunderland 101). Saturday was due to be the better of the two days, but the weather turned out to be rather worse than forecast, with heavily laden skies for much of the day, the sun making ever briefer appearances as the day wore on. 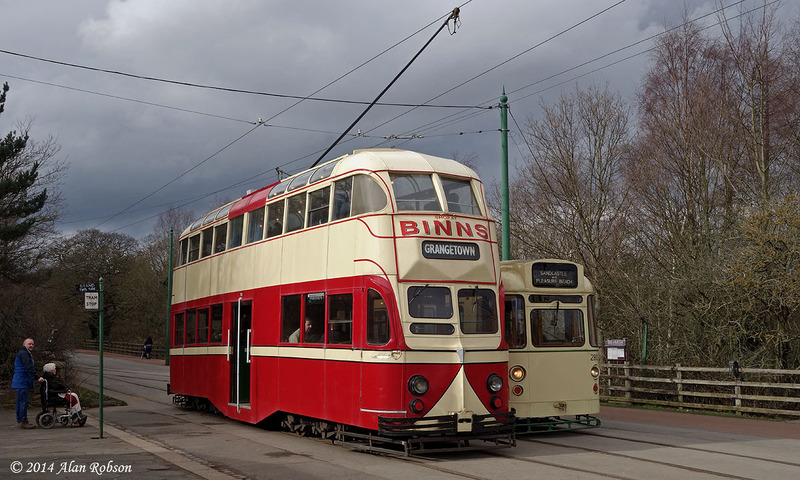 Despite the dull weather the four trams were kept very busy with visitors, and as usual the friendly staff at Beamish made the day a most pleasurable experience.